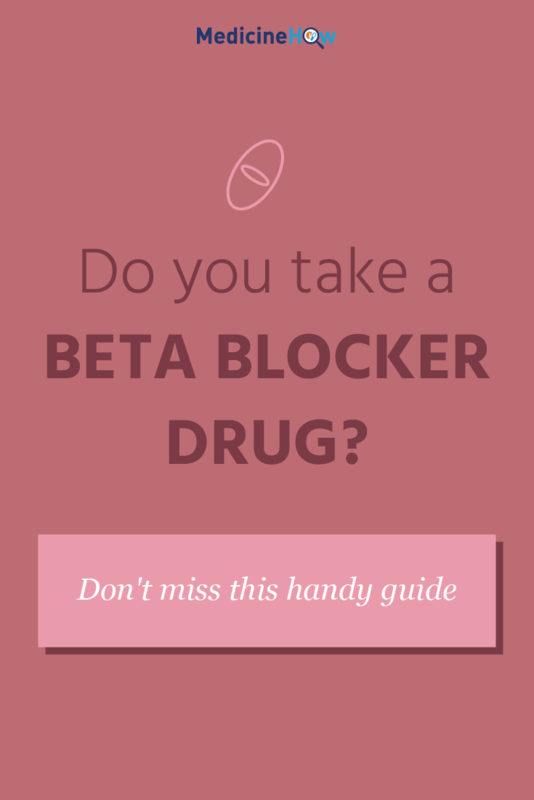 Most people taking beta blockers are probably still blissfully unaware of their existence. And you know what? That isn’t a big deal. You don’t need to know what a beta blocker is. But you do need to understand how the drugs you are taking work. And it just so happens that there are quite a few drugs that work in a similar way. They are different substances – completely different drugs – but when they enter the body, they tend to go to the same places and have similar effects. So we recognized a pattern and grouped them together. Then we named them beta blockers. This post is specifically to help you understand how this group of drugs work in your body and why it can help you with a range of health problems. what we’re talking about. Here they are, the generic name first and some common brand names in brackets. Our bodies are chock full of receptors, all of which are designed to recognize a certain thing and respond in a particular way. The important thing to realize here is that there are different types, and each recognize and respond to different things. 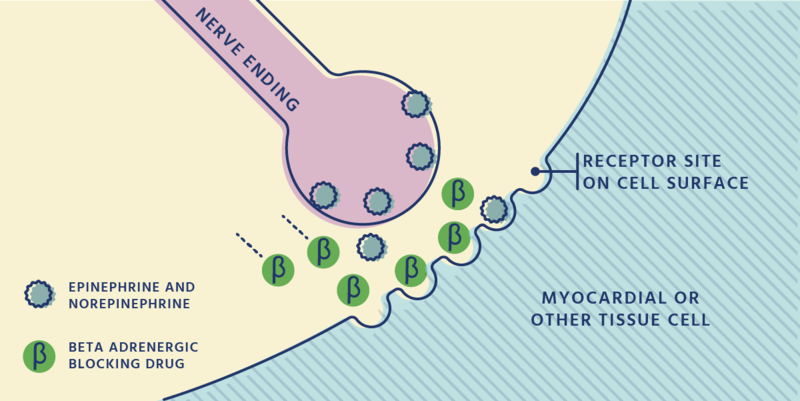 One type of receptor is the beta-adrenoceptor. This type is found in the heart, airways, arteries, kidneys and a few other places around the body. Each receptor is connected to a group of muscles and when it is “turned on” by an adrenaline hormone attaching to it, the muscles react in a certain way. In the heart, for example, the muscles contract and squeeze together to push the blood out of the heart and around the body. Now let’s take a drug we call a beta blocker. They are designed to seem like the adrenaline hormone that usually “turns on” the receptor to make the muscles contract, only they aren’t the real deal. Their disguise fools the beta receptors enough to connect to them, but the receptors realize something’s not quite right and don’t send the message for the muscles to contract. But the beta blockers just keep clinging on. They stay attached to the receptors so that there isn’t room for the right substance to move on in. As a result, the receptor can’t react to the real adrenaline hormone and the muscles don’t contract. The receptor is literally blocked. In the heart, for example, the muscles can’t squeeze together to pump blood around the body like they usually do. What happens in reality is it takes longer for the heart to contract and when it does, it is less forceful. Hence, the heart rate slows down and less blood is pumped around the body. Strangely, this can be a good thing – which is the precise reason we use beta blockers as a drug today. 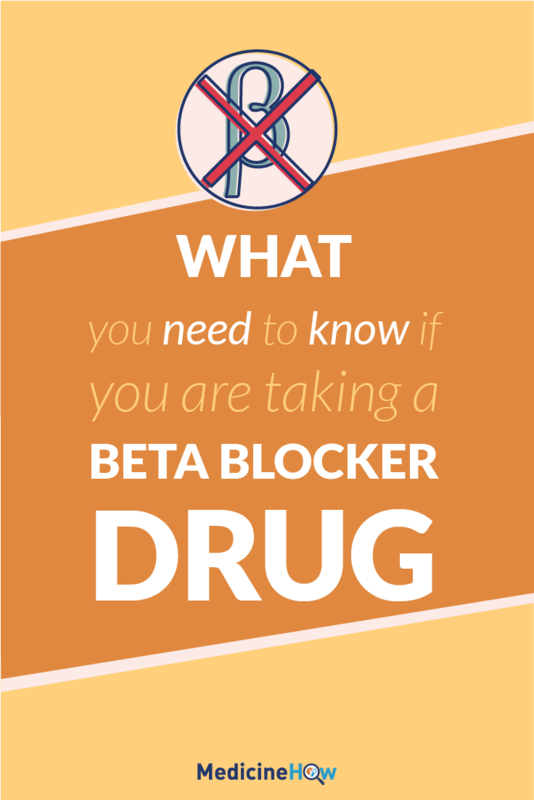 We know how beta blockers work; we know what you are taking it for (at least, I hope you do – if not, get back down to your doctor or pharmacist and ask some questions). Now we’re going to get into the specifics of why a beta blocker may help for different conditions, based on the way they work. We know that beta blockers weaken the pumping and slow the rate of the heartbeats and in doing so they decrease the efficiency of the heart. 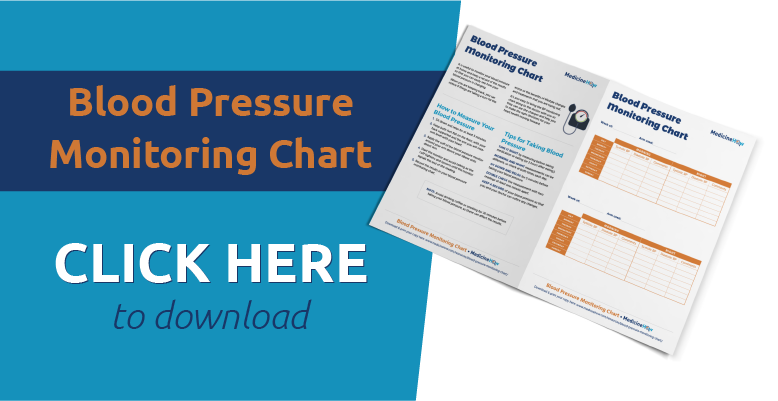 This means less blood is being pushed through our blood vessels in a time period, and less blood in our circulation puts less pressure on the blood vessels – that is, the blood pressure decreases. Angina symptoms are due to increased pressure on the heart as the blood tries to forge its path through blocked arteries. A beta-blocker decreases the amount of blood the heart can pump by weakening the pumping and slowing the heart rate, which means that less blood needs to make its way through the arteries in a certain amount of time. As a result, the blood pressure decreases and chest pain can be relieved. 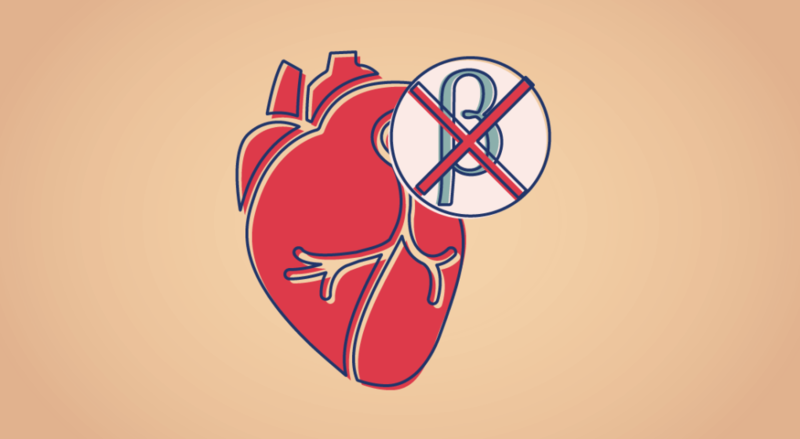 Beta blockers can be used for arrhythmia because they affect the rate of the heart beating. Rather than trying to make the heart jump back into a regular rhythm, the slowing effect of beta blockers can help stop the heart from beating too fast, which is particularly useful if one often has a racing heart. Once again, we use beta blockers after a heart attack because of the way they reduce the load on the heart. After an attack the heart is more fragile, so to speak, and by preventing it from beating too often or two fast can help with keeping a second attack at bay. This isn’t a complete list of conditions can be used for, only some of the most common. Again, here it’s about making sense of what we know. Here are some of the unwanted effects you might experience when taking a beta blocker and why they happen. It all makes sense if you take a moment to put two and two together. The aim of beta blockers is to lower blood pressure – it makes sense that if we take too much the effect will be too good. It happens because the load of the heart becomes too light, with a slow heart rate and weak pump to an excessive extent. This isn’t a bad thing exactly, we just need to get the dose right. This one is obvious when you think about how a beta blocker actually works. Beta-blockers lower blood pressure by slowing the heart rate down, therefore, it’s expected that we might notice a slower heart rate. Again, this isn’t necessarily bad as we rely on this to lower the blood pressure but we need to be aware and watch how the heart rate changes (particularly when starting, or changing doses). Remember at the beginning of this post when we were talking about beta-adrenergic receptors – the place where beta blockers work their magic in the body? Well, I mentioned that the heart isn’t the only place you can find them. They are also loitering around all over our body, but of particularly concern are the receptors in our airways. Usually when these receptors are activated by adrenaline, the airways open up to allow freer flow of air. When a beta blocker comes along,this opening and free air flow reduces, which can make breathing more difficult. 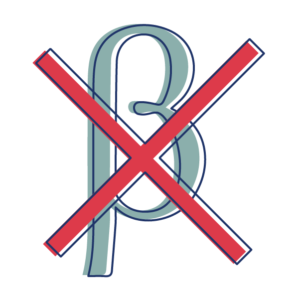 For asthmatics who already have constricted airways this can be detrimental – it is for this reason we need to choose which beta blocker we use carefully (some have a lesser effect on the receptors in the airways). This is not a complete list of side effects, but just a few of the most common. 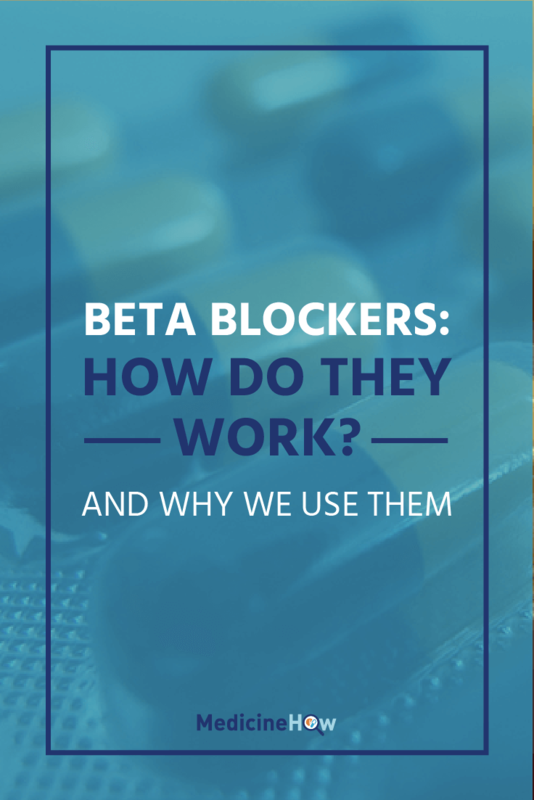 The aim of this post was to give you a bit of an idea of how beta blockers work and show you why we use it for different conditions. It isn’t, however, the complete picture of beta blockers – it is just a snapshot. There are different types of beta blockers, there’s the scientific evidence backing their use and what do we know about using them whilst pregnant? Posts on each of these will be coming in due time, you’ll just have to stick with me until then. Is there anything in particular you’d like to know? Let me know in the comments below.